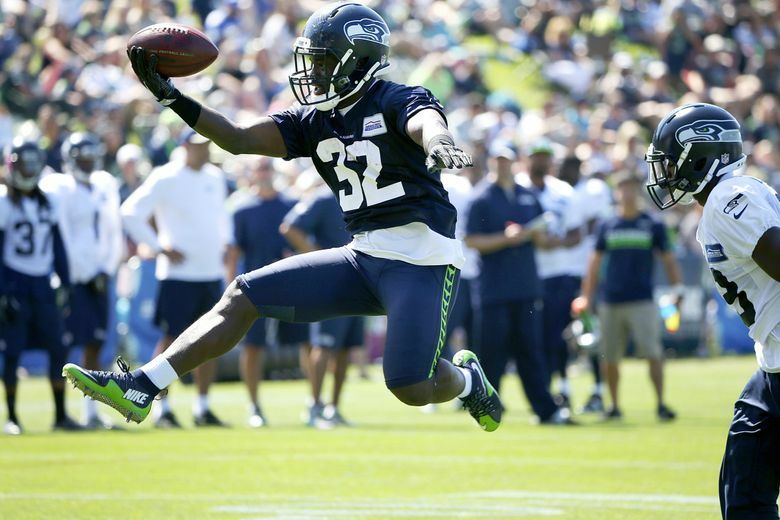 While Thomas Rawls is due to return to practice on Tuesday, Christine Michael has done enough that he still appears to factor into the team's tailback plans this season. The return of Thomas Rawls from the PUP (Physically Unable to Perform) list and the emergence of rookie Alex Collins lead to one inevitable question — what happens now with Christine Michael? For the moment, probably nothing. Michael has been the No. 1 tailback throughout the off-season program and training camp, and with Rawls likely to be eased into action — and potentially not playing much if at all in the pre-season — Michael could stay there. And to hear Seattle coaches tell it, Michael has a role on this year’s team regardless of what happens around him at the tailback spot. “He is a player we are counting on and he is accepting the challenge of being a guy that we can rely on,’’ running backs coach Sherman Smith said late last week. An overriding theme of Michael’s return to the Seahawks late last season was that he had shown an increased commitment to the team and appreciation for being an NFL player after being traded by Seattle at the end of the preseason a year ago and then a few months later released by the Cowboys. Smith says if anything, the maturation in Michael he saw at the end of last season has only increased this year. What Michael had also shown until Saturday — when he sat out scrimmage after showing up ill — was durability. Michael and Collins have been the only two tailbacks consistently available through the off-season program and the first week of training camp. That work, Smith said, is simply more focused now. He’s also now a father of two children, after the birth of his son, Christine Michael Jr., three months ago, joining his three-year-old daughter in the family. Michael is now wearing “Michael Sr.’’ on his jersey as a result. “I just thought it would be cool for my baby boy,’’ Michael said. Which doesn’t mean Michael has completely set aside every last vestitage of the Christine Michael of old. When Michael scores touchdowns in practices he’s still apt to leap into the air and hold the ball aloft. What Smith says means more is how Michael played last season — the 102 yards in the win at Arizona, the 70 on 21 carries without a fumble in frigid conditions in the wild card playoff win at Minnesota – and how that has carried over to training camp. Rawls’ return will give the truest test yet of just how much and where Michael really factors in to the Seahawks’ future. So, too, will the development of the three rookies, especially Collins, who like Rawls and Michael is more of a base-down back compared to C.J. Prosise and, to a lesser extent Zac Brooks, who each have a skillset more in line with being a third-down back. At the moment, though, Michael’s second act with the Seahawks appears to have some real staying power.